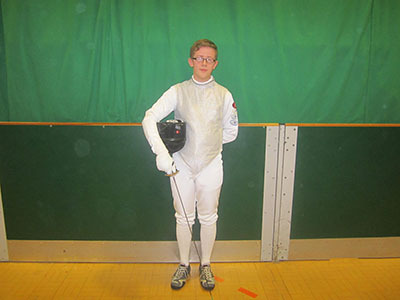 Matt Metcalf is a coach at Preston Fencing club, specialising in use of the foil sword. He dedicates three nights a week to training future stars in this niche sport as well as disabled competitors. Matt is hopeful that this summer’s Olympic and Paralympic Games will have a postive impact with regards to increasing participation in his sport. He has already identified a surge in membership figures amongst both able-bodied and disabled people.